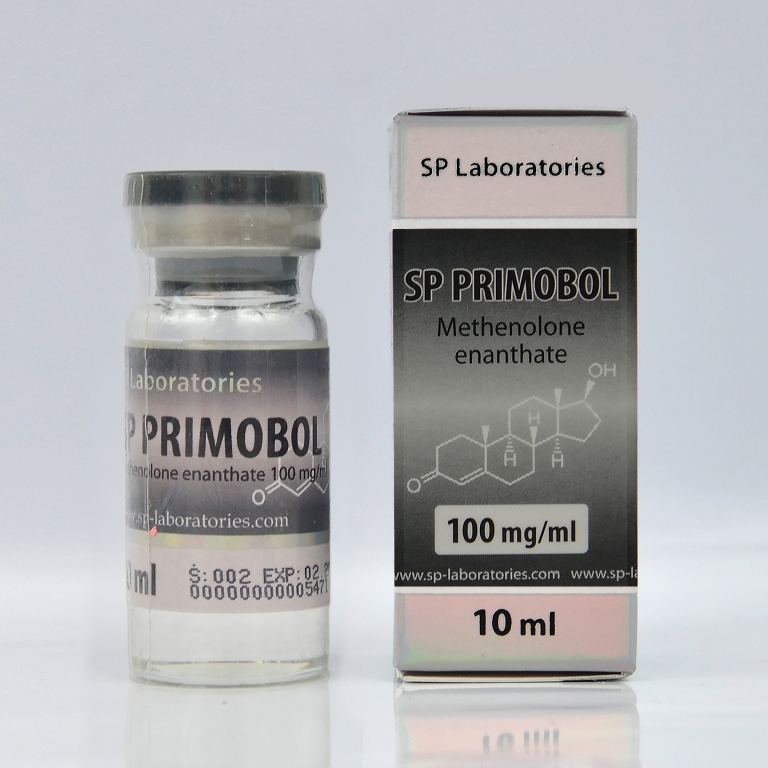 SP Primobol is an anabolic steroid. SP Primobol limitedly affect strength gain and muscular mass increase. That is why fast increase of mass and very large strength increase doesn’t take place during its administration. As a rule, it is used for a long time but, although the slow muscular growth it is very qualitative at the same time. This growth is kept also after you stop administrating the medicine. The daily dose for the athletes is 50-150 mg. This means that 5mg tablets are worse than those of 25 mg. It is written in the instruction that you should use 2-3 mg for every 1 kg of your body weight. It comes out to be 4-6 tablets daily with 50 kg weight. Then 100 kg bodybuilder should administrate 200-300 mg per day or 8-12 tablets of 25 mg daily. It can be seen that quite large daily dose of oral acetate is necessary. The reason is that Primobolan acetate tablets are not alkylated by 17-alpha and, when they pass through liver for the first time, major part of the chemical substance is lost and inactivated; that is why too small part of it comes to the blood. These tablets will bring strength and muscular mass only to beginners and women if administrated alone. Because of that, for experienced sportsmen it is recommended to combine Primobolan with steroids of medium or even strong androgenic effect. With those that will not be aromatized and won’t accumulate water. For example, you should combine Primobolan with Masterone, Oxandrolone, Parabolan, Winstrol of long-term exposure, for example, Anapolon 50. Namely in such combinations the anabolic effect of Primobolan becomes optimal, especially if it is combined with Oxandrolone. Beginners achieve an excellent strength and muscular mass gain without water retention if they use 50-100 mg of Primobolan daily and 150 mg of Winstrol of long-term exposure per week. Experienced athletes of big sports tell about wonderful quality gains when muscles are compressed at the same time if they use 150 mg of Primobolan S daily and 50 mg of Winstrol of long-term exposure every other day and also Parabolan of 76 mg dose every other day.